It is an adventurers delight situated at around 25 km from Sagar. Honnemardu is a small village perched on the hills that overlook the Linganamakki Reservoir. 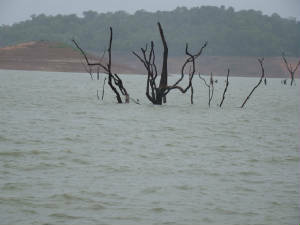 The reservoir is the result of damming the Sharavathi river way back in 1965. The reservoir is also known as Honnemardu after the village. In the middle of this huge water body there is a small island that attracts the campers. 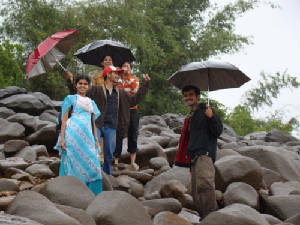 Avoid the rainy season, otherwise it is an all year destination although the most favoured time is post monsoon. But we had been in heavy rains..!!! It was good though. Beautiful place for photography. No food and accomodation is available.